No holiday today is complete without the availability of a good WiFi connection, and as any avid traveller knows, free and reliable WiFi can be a challenge to find when moving from one destination to the next. Exorbitant data roaming costs have also become an increasing bane for travellers, which is why more convenient and cost-effective solutions like portable WiFi hotspots (or Pocket WiFi) services have become increasingly popular since being introduced to the market. “One of the biggest advantages of a Pocket WiFi is it is ready-to-use by just connecting to your device and switching it on. Pocket WiFis also have wide coverage and there is no need to worry about locking and unlocking SIM cards or phones in different countries. It also supports several users and devices simultaneously so it’s ideal when traveling in a family or group,” said Runyin Wu, Head of South East Asia Roaming Man Malaysia, Malaysia’s 4G WiFi rental company – one of the enthusiastic newest players in the Malaysian market. 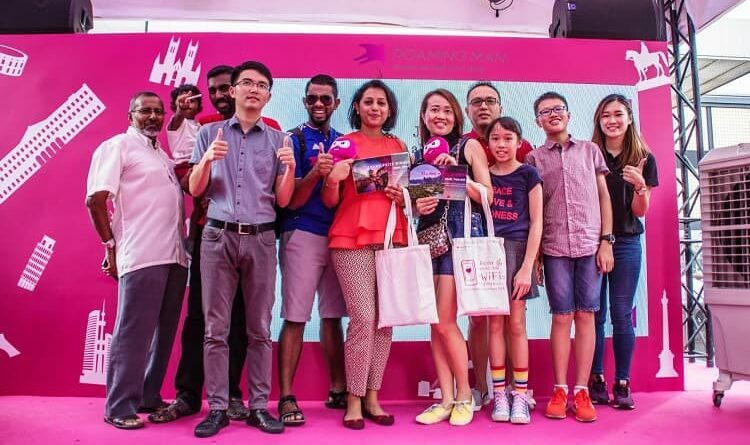 With more than 37 million Malaysians traveling abroad annually, Roaming Man aspires to provide an innovative internet experience, with the belief that “It is never too late to chase your traveling dreams”. Using advanced Cloud SIM technology that auto-connects to the fastest network available, Roaming Man’s Pocket WiFi service has a wide coverage in 138 countries and regions, making it extremely affordable and convenient for travellers to enjoy 24/7 internet connectivity almost anywhere in the world. Roaming Man’s Pocket WiFi also offers up to 3GB of internet per day at 4G speeds – significantly higher than that of local SIM cards or data roaming services – with a fixed daily rate and no hidden charges. “Aside from providing innovative WiFi solutions, I think what Roaming Man truly aspires to provide is a memorable, convenient and hassle-free travel experience. We’d like to think of Roaming Man as more than just your travel companion – we are your ‘WiFi Hero’,” added Runyin Wu during the prize giving ceremony of their latest online contest held recently. The contest, which was launched on its Facebook page recently, received more than 200 entries within one week since it was launched with over 900 polls voting from Malaysians of all walks of life, who submitted their most inspiring and heart-warming travel pictures and stories under the hashtag #roamingmantravelstory. In the end, Vijaya Letcmy from Kuala Lumpur was declared the contest winner with the most heart-warming and inspiring story, winning a pair of flight tickets to Osaka, Japan inclusive of 4-days, 3-nights hotel accommodation as well as free Roaming Man Pocket WiFi rental for the duration of their travel. “I’m so surprised and happy to be chosen the winner of the contest. I love traveling and can’t wait to visit the beautiful city of Osaka. Having Roaming Man will make it so much more convenient for me as well, as I don’t have to worry about getting a local SIM or data roaming package. Thank you, Roaming Man for making my travelling dreams come true!” said Vijaya Letcmy. Supported with the Cloud SIM technology, Roaming Man is the business unit under UCLOUDLINK which provides a WiFi rental service via portable pocket WiFi device, GlocalMe. Roaming Man WiFi rental service is available through the company’s respective channels in Southeast Asia in Malaysia, Singapore and Indonesia.